This was my first thought the moment I finished reading the book. How often do we wish to take a time travelling machine and go back in time, only to bask in the sweet memories of childhood? And how often does a book manage to be that machine for you? Yes! You guessed it right, this book was my ticket to childhood, to the time when we would go to Nani's house and stay there till the schools reopened. A time when all the cousins gathered and did nothing but play the whole day. Everything that was anybody's favourite was cooked in the house and games were just that, games. Life could never have been better. 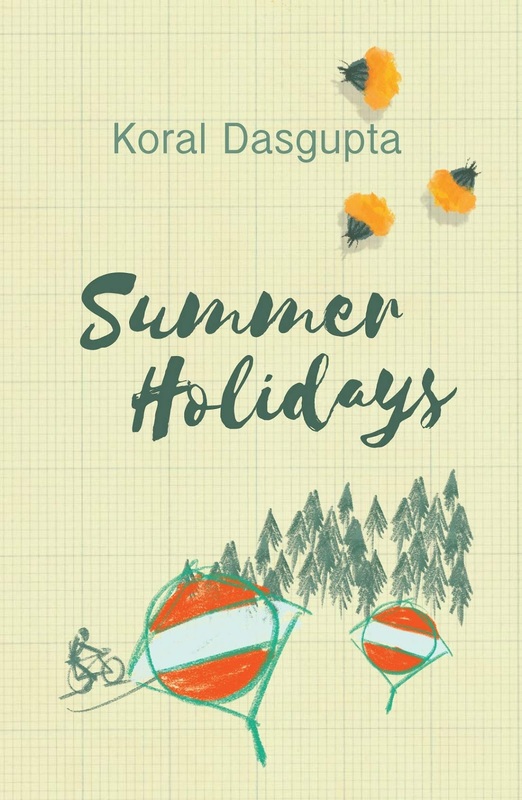 Koral Dasgupta is an author, academic, columnist, painter and professional speaker. Her last book, Rasia, was critically acclaimed. 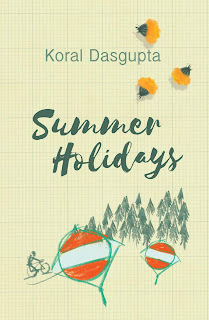 With poignant writing and heartwarming characters, author Koral Dasgupta's Summer Holidays breezes into your heart and warms up your insides like childhood memories. Author beautifully explores different themes like adulting, misunderstanding, sibling rivalry, family feuds and interweaves them to create a spell-binding plot. Each and every character is well nuanced and highly relatable. I loved how they were complex and at the same time, were so easy to connect. As a writer, it is not easy to achieve this. Kudos to the author for striking this balance so beautifully! Also it is worth mentioning here that the locations in the book were not mere locations. That for me is a huge plus. I love stories that bring out the local touch and talk about the place along with the people rather than just making it about the people. Her writing is exceptionally lucid and perhaps that is what makes this an endearing read. The author writes about family feuds and how they tend to break relationships without any logic behind it whatsoever. More often than not, the kids become the victims and bear the brunt of the bruised egos of the adults. They grow up harboring bad feelings without really understanding the reasoning behind it. "As parents we need to allow our children to form their own definitions of things. Knowingly unknowingly we tend to pass on so much of our hatred and grudge to them, that it becomes ingrained in their subconscious to an extent that they never think of questioning those negative feelings." Summer Holidays talks about this extensively and in a manner that is bound to leave the read thinking. Because of having multiple characters, one can always complain about imbalance between them in terms of role or dialogues. I felt so for both Mira and Rishi, who come across as an extension of someone I know. However, this doesn't change the fact that by the end of the book all the characters seem like someone you know or better still, an extension of you. There were quite a few scenes where I was messaging my cousins and talking about them simply because something eerily similar had happened with us not many moons ago. I could easily say, this book was a reason we took some time off our busy lives and did a group video call after long. 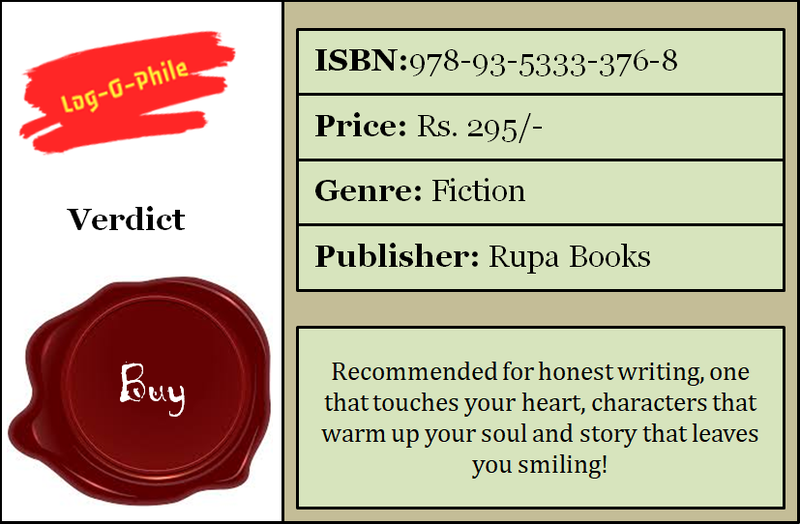 Adding a steady dose of romance, comedy, relationships, childhood memories and misunderstandings to a liberal helping of breath-taking locales and some affable characters, the author dishes out a breezy read. Comforting like the cool breeze at night in many places, unfortunately it stings like the hot afternoon air at some where you feel the narrative drags a bit making it dull. Still,undoubtedly a read that tugs your heart and leaves you teary with your emotions all jumbled up. "Cease the day. Clear your misunderstandings. Tell your loved ones how much they mean to you. Hug them. Kiss them. Share a smile and create beautiful memories...because life is full of surprises. You do not know what the next moment might bring in." The story talks about love and hatred, anger and laughter, hurt and pain all at the same time and juxtaposes it to an effect that the reader cannot help but admire the beauty of it all. I wish such happenstances happened to more people who are no longer in touch only because of some stupid misunderstanding they do not remember anything about. This story filled me with hope and left me smiling for it reminded of all the good old times. It also was a reminder of the fact that as long as want it, anything is possible. Broken relationships can be mended. Family at the end of the day is family. And most importantly, relationships never have any balance sheets to maintain a tally of who called how many times and whose gift was costlier. They are all about listening to your heart and doing what you want to do.